This mincemeat shortcake slice recipe is a real Christmas treat, especially served with lashing of cream or custard. When the mincemeat is cool, make the shortcake. Put the butter, icing sugar and vanilla into a bowl, and use an electric whisk to cream until pale and fluffy. Sift over the flour with a pinch of salt, and mix until smooth. Press some of mixture into the base of the tin until you have a even layer, about 3mm thick. Spoon the rest into the piping bag and pipe a layer along the inside edges of the tin – this will help release the slice from the tin when cooked. Freeze for 10 minutes to chill. Preheat the oven to 190°C/fan170°C/gas 5, and put in a baking sheet to heat up. Spoon the mincemeat you set aside into the shortcake case. Pipe the remaining shortcake on top in a diamond pattern. (You can cover it and freeze for up to 1 month at this point.) Bake on the hot baking sheet for 30-35 minutes, or until golden. Cool slightly in the tin, then carefully remove. 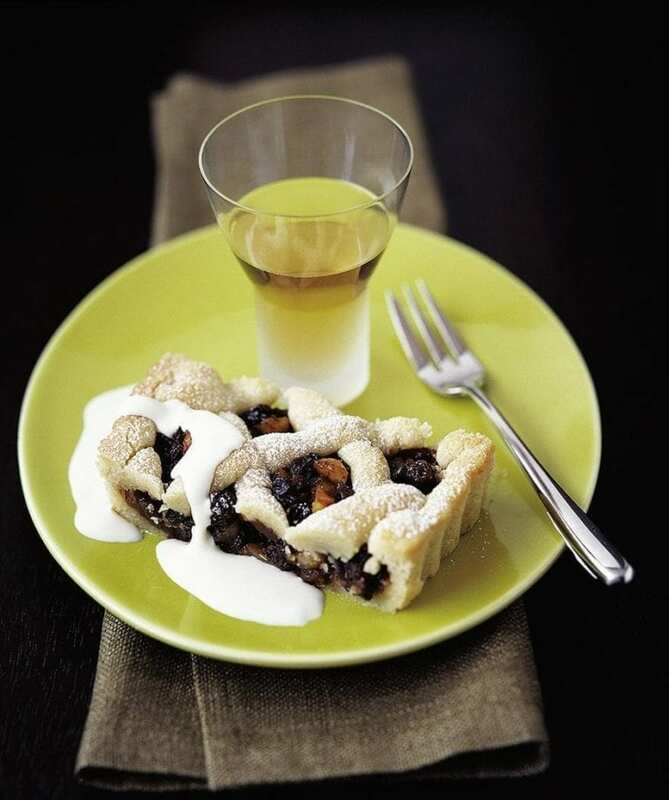 Serve warm in slices, dusted with icing sugar and drizzled with cream. You’ll need a 35 x 11cm tranche tin (from cook shops) or a 23cm shallow, round fluted flan tin, plus a piping bag fitted with a 1cm star nozzle. This tart is fantastic served warm with cream or lashings of custard. Assemble in advance, then freeze, unbaked and covered in cling film, for up to 1 month. Defrost at room temperature then bake until golden.